By Air - Flights from Glasgow, Edinburgh, Inverness and Aberdeen come in and out of Stornoway airport, which is an hours drive away from the house. 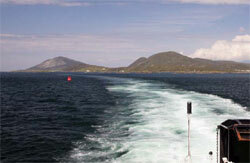 By Sea - Ferries arrive into Harris from Skye (into Tarbert - 30 minutes drive away) and from North Uist (into Leverburgh - 1 hour 10 mins drive away). 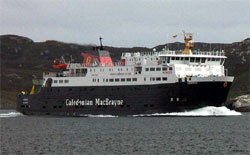 There are also ferries from Ullapool (into Stornoway - 1 hours drive away). 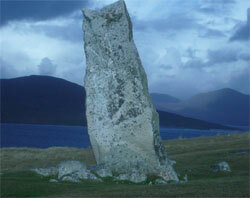 By Car - From the A859 (Stornoway to Tarbert) take the B887 to Hushinish. Follow this winding road 9 miles through the rugged North Harris landscape. Look out for red deer, golden eagle and mountain hare against the backdrop of the North Harris Hills along the way. You will pass the tall brick chimney and remains of the Bunavoneader Whaling Station, the remotest tennis court in Britain and right past the front door of Amhuinnsuidhe Castle before arriving at Old Post Office House.